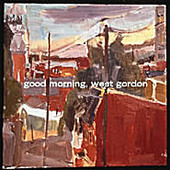 Delicate and beautiful, though not afraid to rock, Philadelphia's One Star Hotel creates a tender pop record with Good Morning, West Gordon. A twelve-track collection of songs that go from the bouncy rock of "River Drive", to the pop-rock of "Falling Down", or the light acoustic sparkle of "This Fall". The band is diverse enough to shake it up - and thrive in any setting they choose. As well as more than capable to maintain their memorable pop hooks and buoyancy regardless of how loud or fast (or soft) they choose to play. This is a band that will be making a name for themselves soon. I'll give it an B+.